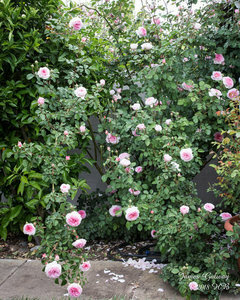 What rose is by your front door? I feel like by the front door is an esteemed spot for the rose chosen to live there because it's the one people will stand and look at and/or smell while waiting. 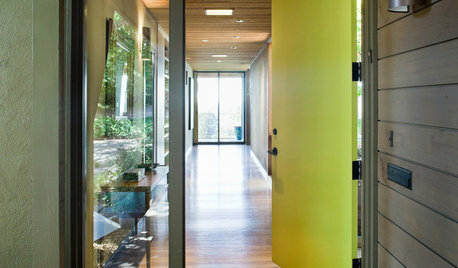 What's by your front door? Sooo beautiful !! 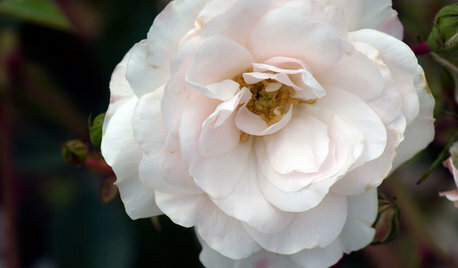 I only have apricot drift roses in front of my home with lime light hydrangeas . We get shade after 2. 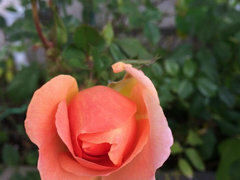 I am paranoid about roses in the front yard , I’m afraid to invite deer. Maybe that’s silly... I have thought about changing it up though . Wow the photos are so lovely and the roses you all have listed sound so perfect!!! 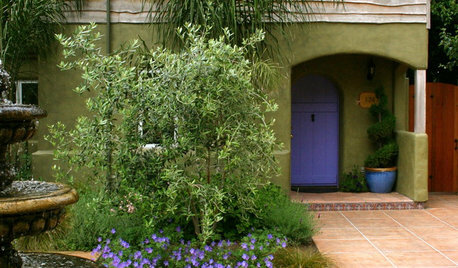 My front door faces north and is in way too much shade for anything but ferns and the like. There is a spot on the walkway though where I should be able to grow roses though at least. 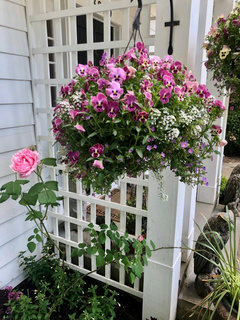 To get to my front door visitors must dodge the thorns of Gertrude Jekyll, Souvenir de Saint Anne's, and Gloire de Dijon. Quite the gauntlet! Thank you everyone for the compliments! Erasmus and Lily, great garden pics! Erasmus, definitely give John Davis a try. 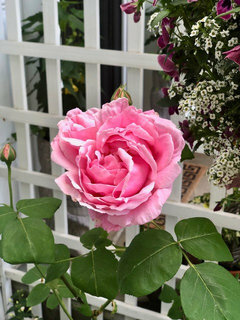 It's my favorite hardy pink climber. I have 3 of them scattered throughout my garden. I'm thinking of adding 1 more! I just cleared my front beds this morning. 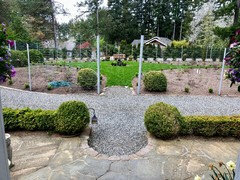 Had well established boxwood, nandina, and barberry. 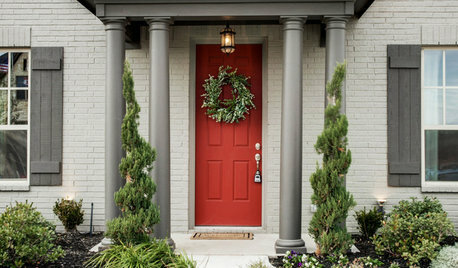 I’ll have both Abraham Darby and Boscobel framing the portico. My front entrance faces northwest & my house is off-white stucco, which is a lose-lose situation - plants get leggy from the lack of morning sun, and then fry in the bright afternoon sun reflecting off the stucco. Oh, and it's paved, so any plants have to be in a container (lose x3). Has anyone had any success, with a similar setting? And, you all have some gorgeous plantings!!! 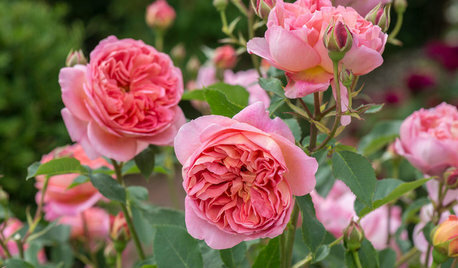 The closest rose to my front door would be Blushing Pink Knock Out. I have a bed of different Knock Out's in front of my porch and BPKO is the one closest to the front door. I just have one that I hope will eventually climb up my front brick: Cl. Clotilde Soupert. Here's another pic. This one from the side walkway. 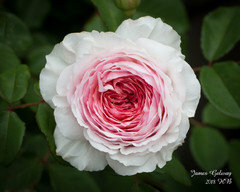 This rose is William Baffin. 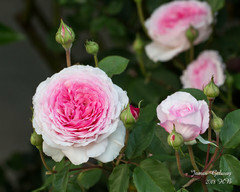 On one side of the walkway to my front door is Duchess of Portland, Duchesse de Rohan, Blythe Spirit, and Polka. On the other side is a Ruby Slippers hydrangea quercifolia, some irises, daylilies, and a couple clematis vines. Wow! Somehow I never realized that James Galaway was so beautiful. 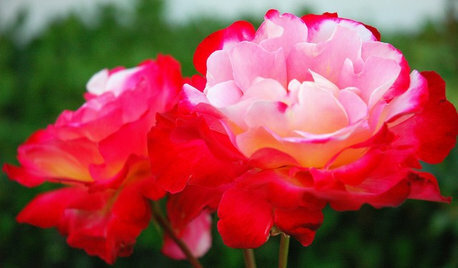 What a gorgeous rose. 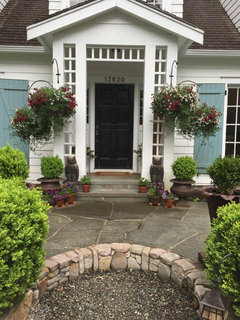 Bella Rosa, what a beautiful sight your side entry is, just wow! I don’t have much space near my front door, and there’s a dark breezeway. I have a tiny bed that has a perfect sized rose in it. It’s not looking it’s most impressive in February, but starting to bloom again. It’s Golden Buddha, from Paul Barden. It has stayed this nice compact size with minimal pruning for about 3 years. 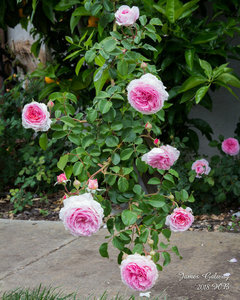 It’s an invaluable rose, since it actually stays compact in So CA. Here it is today, just starting to bloom. 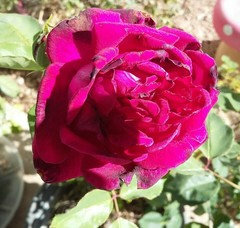 The blooms are a very rich color, with all the cold,(for us) weather we’ve been getting lately. Therese Bugnet is by my back door with Blue Enchantment hydrangeas at her feet. John Davis is by my front door, but no pics. 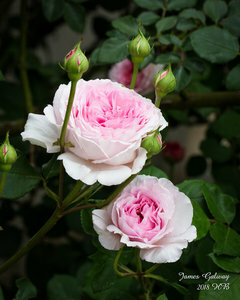 Both roses are dependable and fuss free. Bella Rosa, your Wm. Baffin puts mine to total shame. I didn't know he could look that good. Baygirl, your pics of James Galway are stunning!! Lisa, thanks for the compliments. 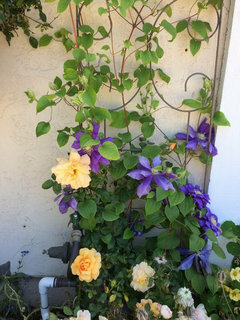 I really like your last pic of the yellow rose/purple clematis. 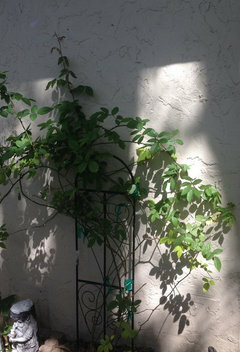 What's the name of the clematis? Bay area girl your James Galway has me wanting one!! So beautiful! I must go look it up now. Kristine is right, your picture should definitely be used for every catalog! I agree with everyone about the beauty of your JamesGalway, bayareagirl! It makes me just twitch for summer! Lisa, be careful what you wish for, unless you really love pine needles. But, thank you for saying such nice things. Drooling over James Galway. 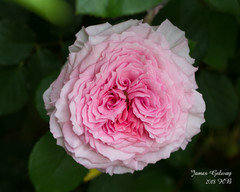 Love those frilly petals. I have Plum Perfect in an urn shaped container. I am concerned it will not have enough soil, but it seems to be growing each year. Bay area girl, the James Galway pictures are really nice and eye-opening. Thanks for the look. Does this variety repeat bloom very well? I've got two potted Barcelonas on the front porch, and Bolero about three feet away as the nearest ground-planted variety. Both valued for their wonderful fragrances. Barcelona last November showing cold damage, but still performing! I don't have a Bolero photo. The closest rose to the front door is Golden Celebration. 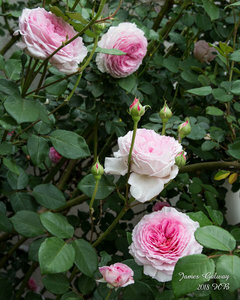 It can get big and tall and the blooms nod down on people so they can smell the great scent! Love that James Galway, Wm Baffin, and the Golden Buddha with purple clematis. 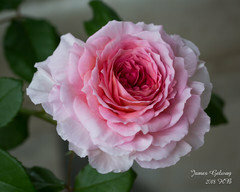 I bought a James Galway grafted plant from David Austin roses last spring. It did not do well but there is one cane and it is growing and looking good so there's hope. Those are some of the prettiest pictures of it. Also love your front garden, Lilyfinch. 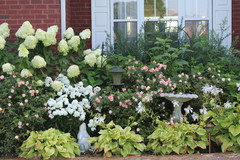 I think I need some peegee hydrangeas. I love roses by the front door! I love seeing everyone's pics. 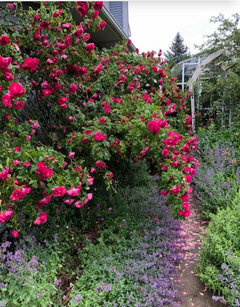 Bella rosa...you're rosy tunnel of William Baffin is swoonworthy. 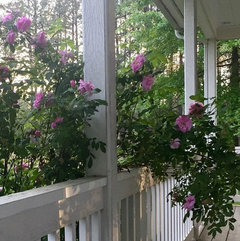 That porch and rose are perfect for the house nice job!! So many good ideas here! I wish I had the know how to incorporate them into my house and garden. Rosylady, you need your own show! Your porch addition is just as impressive as your lattice house and does a beautiful job of carrying the lattice theme to the front of your house. Please tell us about the stone planter in the foreground of the photo. All these photos make the dirt by my front door lonely. flowersaremusic...thank you! That little stone semicircle is actually the "step" where you step up onto the porch from the gravel driveway. 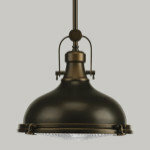 It's something they used to do in New England...I saw it on an old episode of This Old House. The entrance to the rose garden is on the other side of the driveway and has the same semicircle step. Oh, now I see what it is and how it repeats on the other side of the driveway. 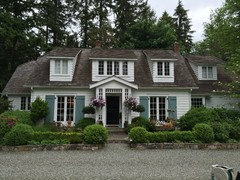 Beautiful home and you've landscaped it to perfection. We had thought about doing much the same with the driveway, but I opted for lawn, and I've regretted it ever since because our entire front of the house and lawn is shaded by two large maples, so I can't grow anything there anyway. Beautiful backdrop of trees behind your home. Looks like a few different varieties. Wow, Summers. That pink rose thinks your winters are just fine. Thanks! That’s Bulsh Lucy on a north facing spot. It’s super winter hardy. :-) The old canes dead suddenly 3 years ago. I have been training the young canes to climb up again, a long process. Why do I feel ashamed after reading this thread? lol I have a lot of catching up to do. These are all so incredible. Summer that is so pretty! Is that rose thornless? I LOVE that! Totally worth missing a few days of mail! I have a young own root Clotilde Soupert. It's finally starting to put on some growth and I am hoping for a nice flush soon. I need to replace the trellis with something large. 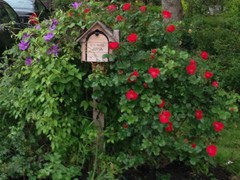 Oursteelers & Suncoastflowers, that’s Altissimo in bright red, it has thorns. I got it from Walmart for $5 (bare root). Summers, you must tell us more. 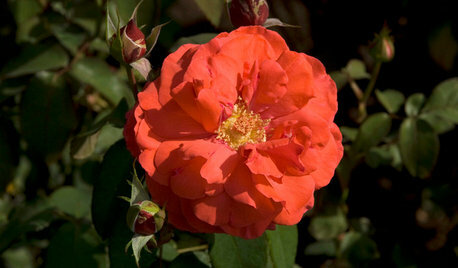 I'm always interested in a super hardy climber. Is it Blushing Lucy by any chance? Yours looks so much fuller than the pics on HMF. Does yours repeat? HMF says occasional, but they are often not accurate with their info. I could be happy just sitting on your front steps. And, your mailbox is just pure charm. Your house must look like the Enchanted Cottage. Wow what amazing additions to this thread!!!! Amazing . I am excited to see Teresa bugnet ... 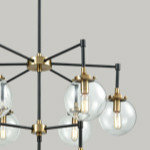 I ordered that from heirloom. Is it a climber Flowers ? 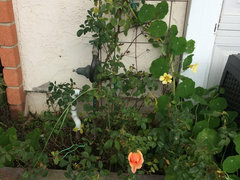 Lisa your clematis looks great with that rose ! Suncoast that Clotilde will be so beautiful! Please share more photos when it blooms . Lilyfinch, Therese Bugnet is big, but not a climber. 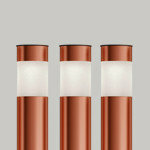 The growth form is vase shaped. I prune them back every few years so the canes don't bend under the porch roof. HMF says not to prune, but my husband whacks on them all the time because they hang over his lawn, and it doesn't seem to bother them. The first flush is the best, but they're rarely without a bloom. Cyndita, The purple flower is clematis "President" (I think). I ordered so many clematises one year, lost all the tags over the years. Flower, That's Blushing Lucy. Super hardy here, it hardly has any winter die back. It doesn't repeat here in my zone, but it repeats in warmer zones. I contacted RVR about it one year, they told me it repeated very well over there. 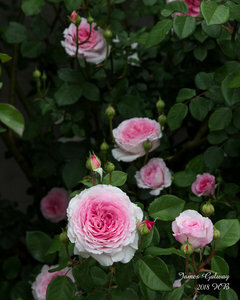 Dreamland from Palatine is another hardy rose in my garden, it repeats well. I will start to whack Therese Bugnet in my garden, I have 8 of them from Walmart and HD, I paid $5 each 2-3 years ago. They don't repeat well. Thanks to your DH, I will do the same this year. Lily, My yard is super messy. I don't have any clean photos, haven't had much time to pull the weeds after work, the garden became wild wonderland. A couple neighbors thought I quit gardening last summer. The weeds were taller than the roses in some beds. Lol Yours is always nice and beautiful without any weeds! So many beautiful pics everyone! Keep them coming! 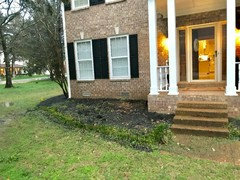 LF, I moved in 5 weeks ago and already replaced the shutters, ripped out everything in the foundation beds and a genuinely awful corner bed that was so overgrown I discovered decorative brick at the bottom after I tore it all out, and I cut down a really awful sideways growing redbud tree. If I go overboard and don’t have enough space, I’ll happily remove things. 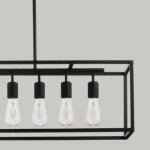 I’m too impatient to wait to see how things perform before getting additionals. I’d rather scale back than wait for more. I guess we all want what we can't have. LF, I would love a laurel hedge, but I think we're a bit too cold. Some are rated to Z6, but I'd hate to have it killed to the ground in a bad winter since I think it's slow growing. I really need a tall hedge that's NOT bush honeysuckle. 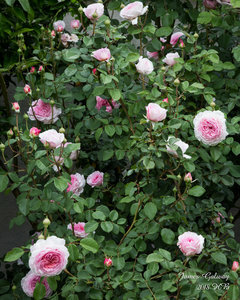 : ( I could use a solid fence, but hedging looks SO pretty as a backdrop for roses. jc, Congrats on your new home! A new beginning! You might find some beautiful surprises in the garden when spring comes. 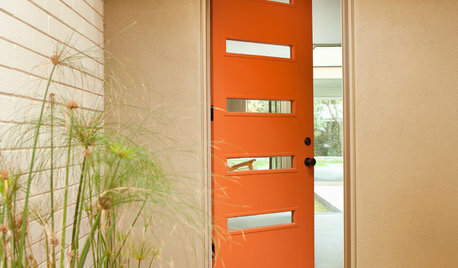 HOUZZ QUIZHouzz Quiz: What Color Should Your Front Door Be? 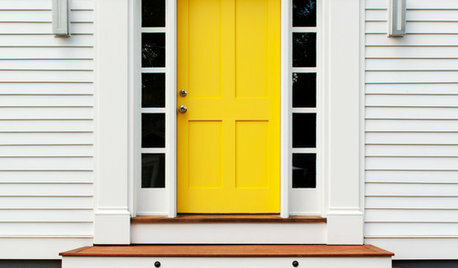 POLL: What color is your front door? Help! I want my front yard and front door to be the Cat's Pajamas! 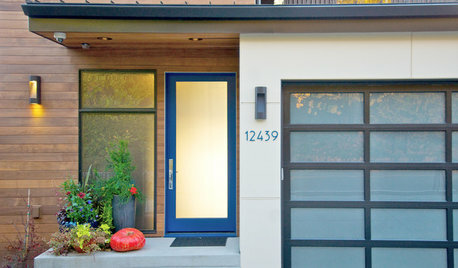 New Front Door.. What are your thoughts on it? Crawl Space Access Door Without Louvers, White, 16"x32"
Crawl Space Access Door With Louvers 24"x24"
Crawl Space Access Door Without Louvers 24"x36"
Crawl Space Access Door Without Louvers, White 16"x24"
Crawl Space Access Door Without Louvers 20"x32"
Crawl Space Access Door Without Louvers 12"x32"
Crawl Space Access Door With Louvers 16"x32"